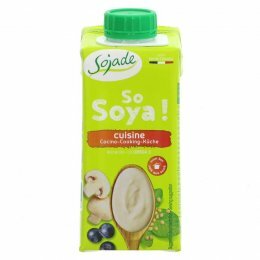 Sojade is a family owned company based in France which produces organic , dairy-free desserts, yoghurts and drinks. The company has been growing organically for over 35 years and has a strong knowledge of organic farming and production. It is committed to being environmentally friendly with the development of its own renewable energy source through a wind turbine to power production an offices, while cutting down on waste production and ensuring all packaging used is recyclable.